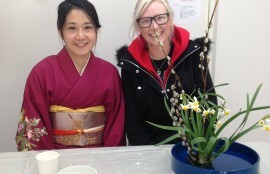 Looking for a Japanese culture experience? 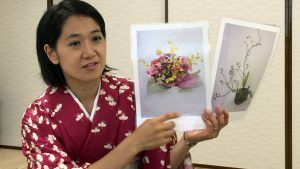 Then why not try Japanese style of flower arrangement, IKEBANA, at Shonan Flower Coordinate (SFC)! 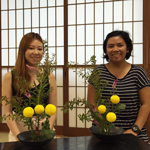 We assure you a great experience of learning Japanese culture, represented in ZEN, by arranging beautiful flowers. 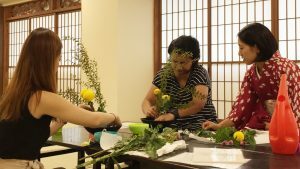 At SFC, we offer IKEBANA lessons in English, French and Korean for non-Japanese residents, visitors, and tourists. In addition to Fujisawa and Jiyugaoka locations, now the lesson is also available in Nihonbashi, a convenient location in mid of Tokyo. Check out our schedule, venue, and rates [here]. 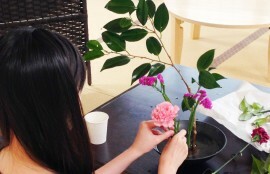 1) Our instructors will first explain you the basic about IKEBANA. 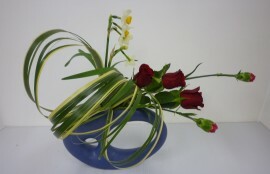 Simplicity and asymmetry of IKEBANA is clearly different from western style of flower arrangements. 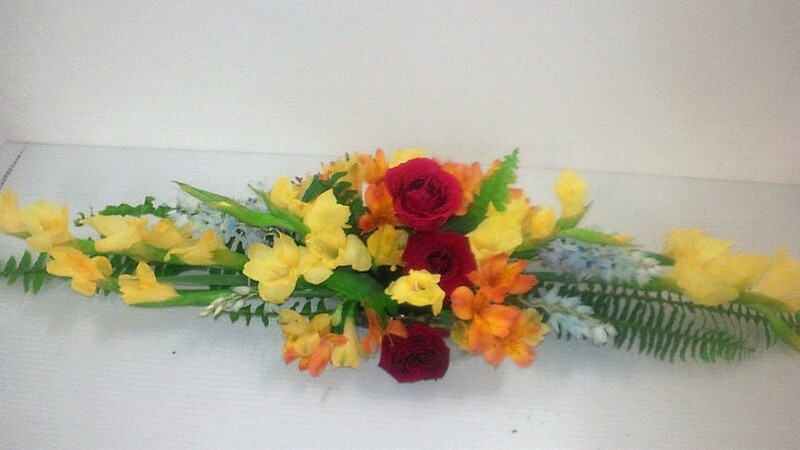 2) Arrange seasonal flowers in IKEBANA way. 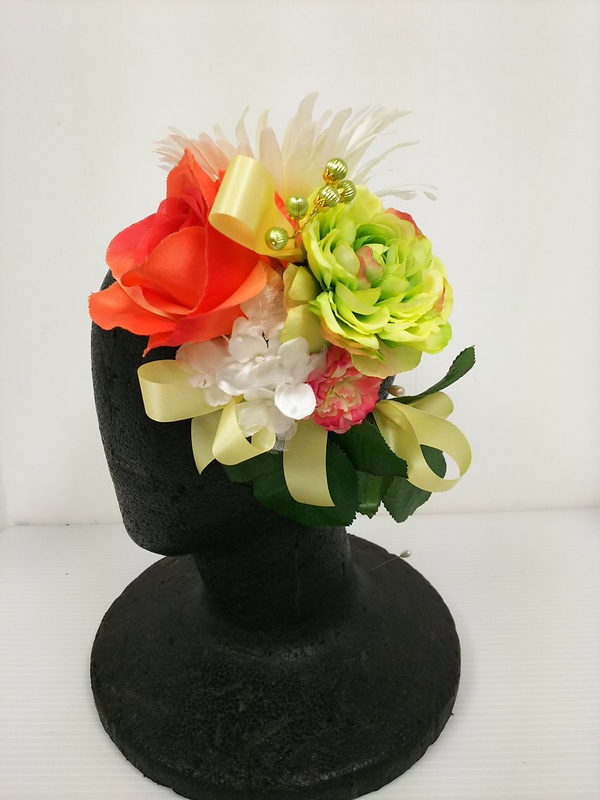 Though simple, it can be trulls creative! 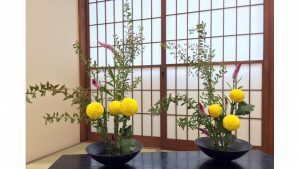 3) An example of IKEBANA arranged by visitors. 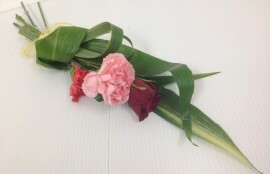 After the lesson, you may take flowers with you.